Extra: Plant is deer resistant. 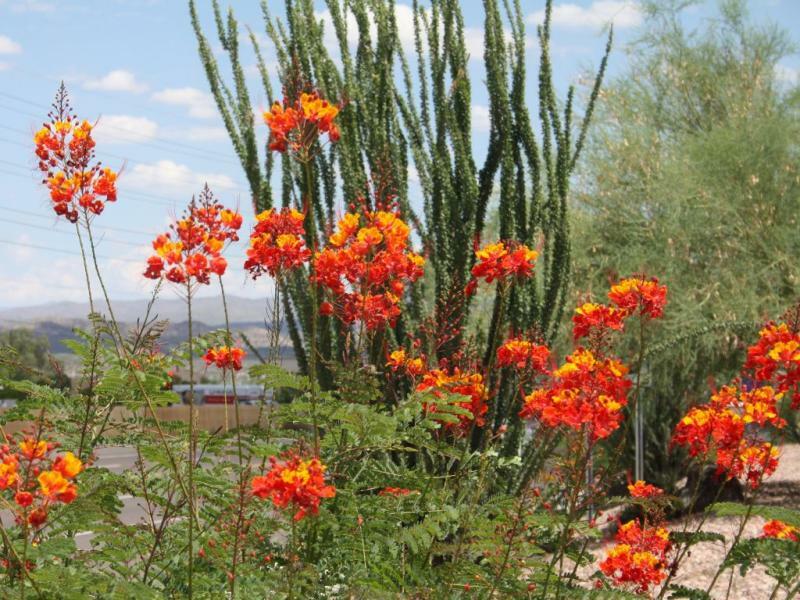 Features: A beautiful, unique looking large growing perennial. 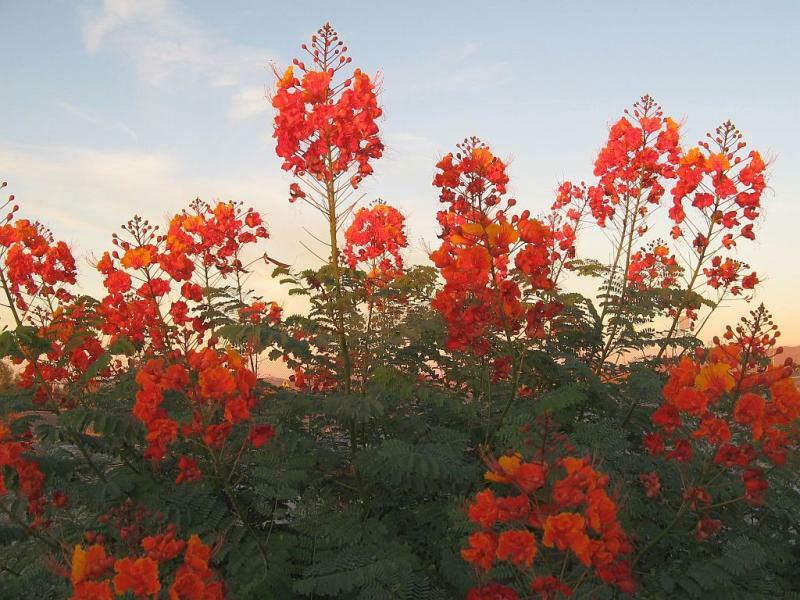 Showy Red/Orange blooms from summer to fall. It would be very helpful if you could include the watering requirements for each of your recommended species. We have a 5. 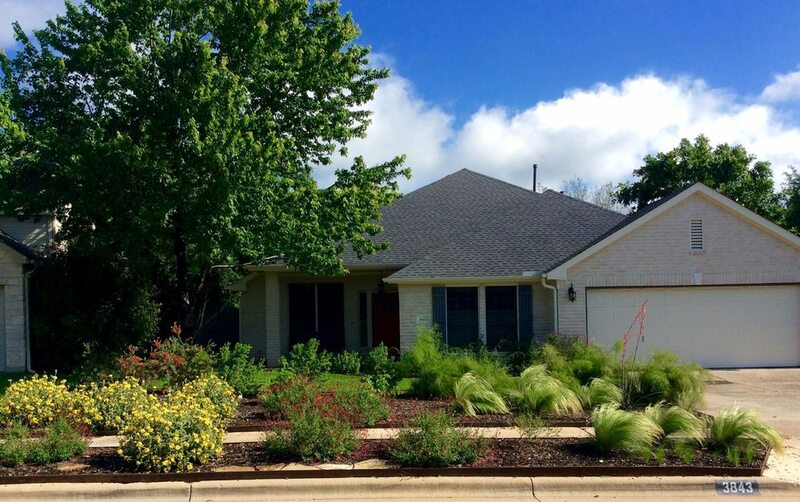 5 acres of land with only a small percentage in reach of a watering system – mostly around the house. 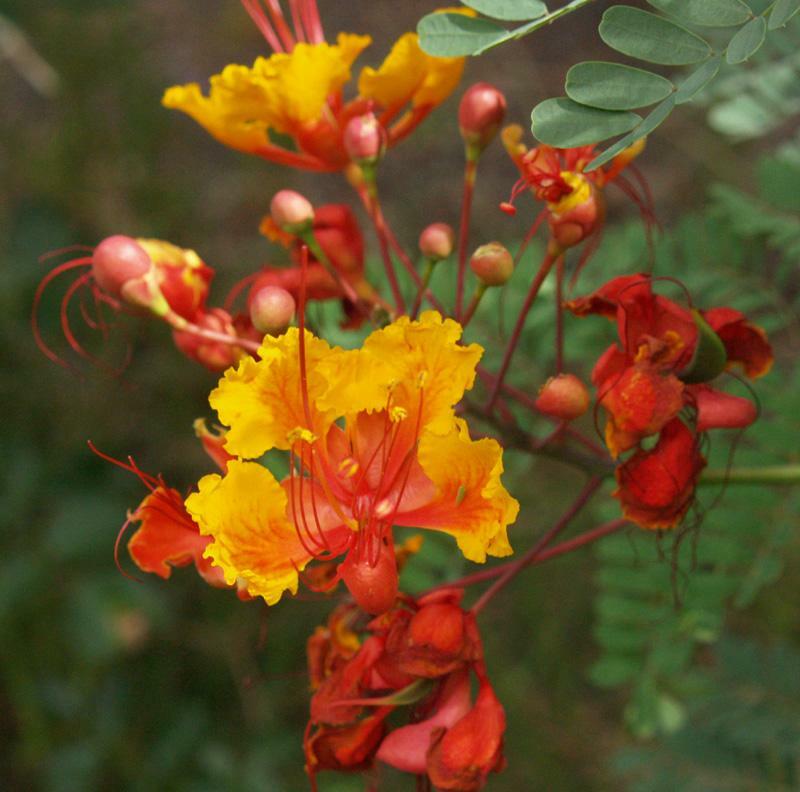 Any chance that you could sell several Pride of Barbados plants? 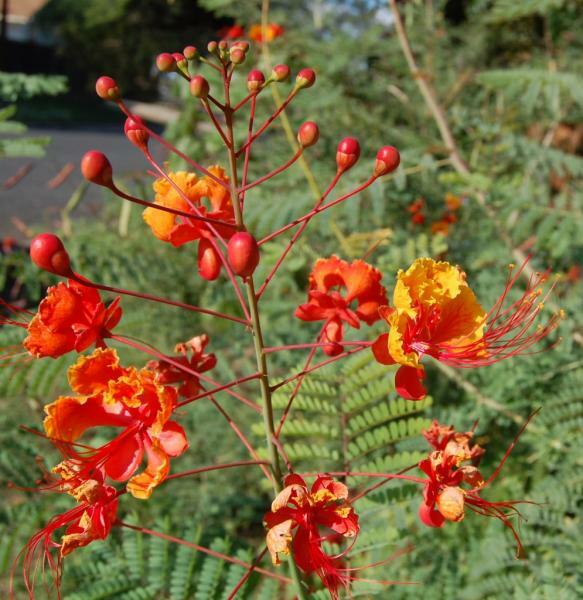 Can you possibly tell me where I can purchase a live Pride of barbados on-line? 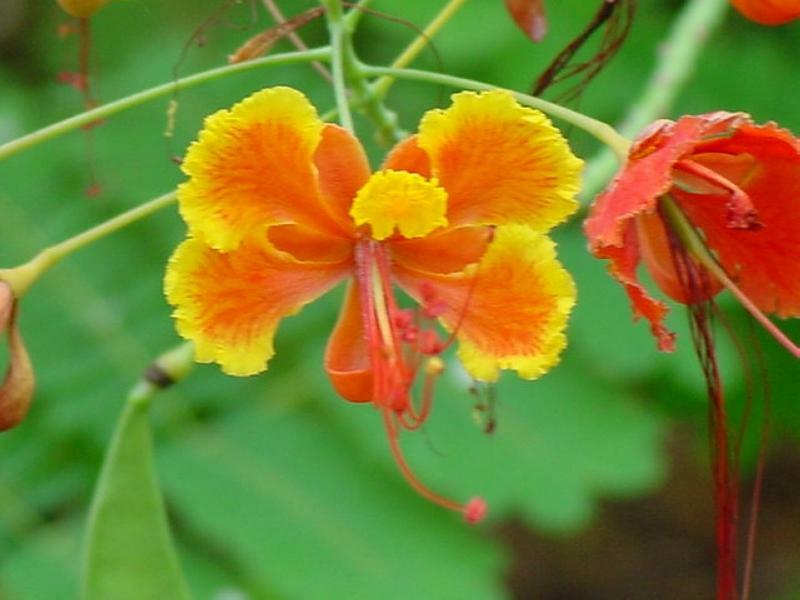 I can find and have ordered seeds, but would like a live specimen ! I have a plant that has never bloomed, but has been in a pot for about 3 years and pretty much neglected. Now it is tall and spindly…can i make cuttings from it and root them for new plants? 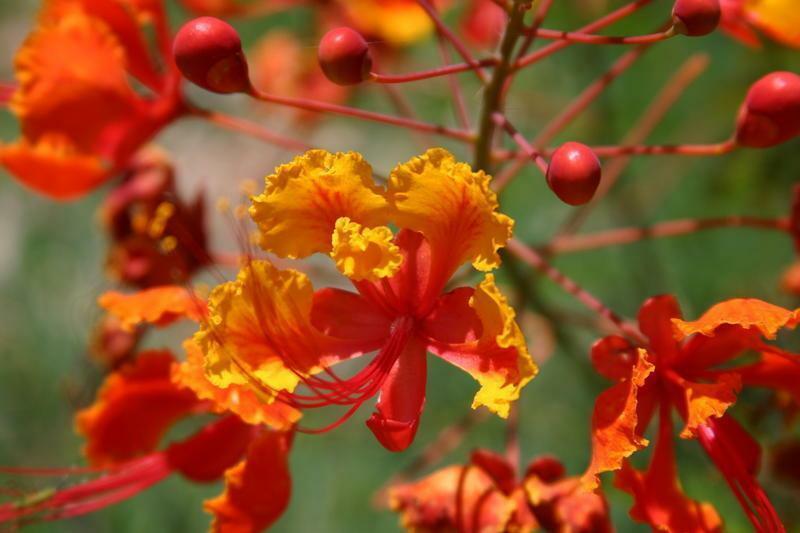 Since it has never flowered, there are no seeds.